Product details MPN: HDNANO. Modellbezeichnung HD NANO. TV-/Rundfunkempfang integriert TV-Tuner. Farbe Schwarz. Typ SAT-Receiver. Max.4000 Channels. (TV & Radio Programmable). A very trustworthy receiver with basic features. Capable of inserting Max. 1000 PIDs of Video, Audio and PCR and SMATV system. 16 Colors On-screen Display(256 colors optional). Digitale receiver, Humax, icord HD, Perfect. Resolution: 1080i, 576p, 576i, 720p Model: Humax PDR iCord HD. Data interfaces: USB MPN: 73884. Dual receiver, Free Reception, Instant Replay, Pause function for live TV. FREESAT HD RECEIVER WITH WIFI Plug Type UK SVHC No SVHC (12-Jan-2017). For your consideration:-HUMAX ICORD HD 160GB HDD. Humax iCord HD® SAT Receiver 160 GB. Ethernet connection. Connection possibilities for external devices via USB-connection. Multi-language on-screen display. 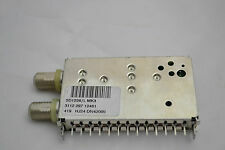 Product details MPN: FOX TWIN. TV-/Rundfunkempfang integriert TV-Tuner. Farbe Schwarz. Typ TV-Tuner. Use its Ethernet port and cable to access the Internet and stream content from Netflix, BBC, or YouTube. Device Type TV Receiver. Type Digital. Playable File Formats JPEG, MP3. Data Interfaces Ethernet Port, USB Port. FOR SALE : HUMAX HB-1100S Smart TV Box. Freesat HD. With Freesat you can enjoy the UK’s favourite Catch Up services: BBC iPlayer, ITV Hub , All 4 & Demand 5, plus videos on YouTube. Freeview HD. Foreign TV. TV Stands & Cabinets. TV Wall Brackets/Mounts. HUMAX TN 8000 HD TNTSAT. Opérateur TNT SAT. TNT SAT Oui. Tuner TNT HD Oui. Type Récepteur TNT. Tuner TNT intégré Non. Avec connexion pour disque dur Non. Wi-Fi intégré Non. Sky+ Pro receiver ESD-160s,UHD-Festplattenreceiver 1TB, neu !!!! Hallo zum verkauf steht ein Humax HD Nano Receiver mit Netzteil/Stromkabel. Receiver, Fernbedienung, Batterien, HDMI-Kabel, externes Netzteil mit Netzkabel, Anleitung (nicht auf dem Foto zu sehen). Für den Empfang der verschlüsselten Sky-Sender wird eine Smartcard benötigt. Humax PR-HD 3000. 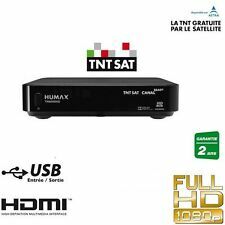 HUMAX TN 8000 HD TNTSAT. Opérateur TNT SAT. TNT SAT Oui. Type Récepteur TNT. Tuner TNT intégré Non. Tuner TNT HD Oui. Free-to-Air Non. Wi-Fi intégré Non. HUMAX TNT SAT READY. TN5050HDR 3D READY DOUBLE TUNER. Used, in very good condition. HUMAX IRCI-5400 in a very good condition and working. DEMODULATEUR HD TNTSAT. remboursé / repris. restent confidentielles. Vos données personnelles. Conseils techniques. NETTOYANT AUTRE. NETTOYANT RASOIR. ETIQUETTE DYMO. The Humax Wireless WiFi Dongle is compatible with the following Humax Receivers. Humax USB Wifi Dongle. The above dongle is not compatible with the HB-1000S. Foreign TV. TV Stands & Cabinets. TV Wall Brackets/Mounts. Freesat HD. • Twin Tuner PVR. • 1TB Hard Drive. TV Wall Brackets/Mounts. Freeview HD. Foreign TV. TV Stands & Cabinets. • Pause, Rewind & Record Live TV. Tuner TNT HD Oui. Port Ethernet Oui. Port USB Oui (x1). HDMI Oui (x1). Free-to-Air Non. TNT SAT Oui. Wi-Fi intégré Non. Freesat HD. • 500GB Hard Drive. • Twin Tuner PVR. TV Wall Brackets/Mounts. Freeview HD. Foreign TV. TV Stands & Cabinets. • Pause, Rewind & Record Live TV. We have made things clear, right here in this ad, and can not do more than that. The text above in this ad is leading in information - Read the ads carefully when you are interested in buying. Weight: 1.2 Kg. HUMAX TN 8000 HD TNTSAT. Port USB Oui (x1). HDMI Oui (x1). Free-to-Air Non. TNT SAT Oui. Wi-Fi intégré Non. Viaccess Oui. Marke HUMAX. Kompatible Marke HUMAX. Gerät Digital SAT/Kabel Receiver. Kompatibles Modell PR-Fox S Sat, PR-Fox C Cable, PR-Fox C II, NA-Fox. The technical feature is perfect and visually in very good condition. Pause, record and rewind live TV. Free catch-up TV from BBC iPlayer, ITV Player, All 4 and Demand 5. Video on demand with Curzon and Netflix. DECODER MY SKY HD MOD HUMAX ESI-160 VISIONE HD CON TUTTE LE SCHEDE. Nota bene il decoder non si deve collegare ad internet. QUESTO PERCHÉ SKY CONSENTE DI USUFRUIRE DI QUESTI SERVIZI SOLO ALLA SCHEDA ABBINATA AL DECODER. Humax Ultra HD 4K 1TB kabel -Festplatten Recei­ver Humax ESd-160c Wie NEU. HUMAX SKY PRO ULTRA HD 4K 1TB FESTPLATTEN KABELRECEIVER W-LAN ESD 160C . Wie NEU. Es handelt sich hierbei um einen Receiver für Kabelanschluss, nicht für Sat. Komplet mit allem Zubehör ! Optischer Zustand: wie Neu ! 2 DECODER SONO FUNZIONANTE. COMPRENDE SOLO 2 DECODER. HANNO LA LINGUA TEDESCO. ITEM IS AS SEEN IN IMAGES.THIS ITEM OPENS AND CLOSES FROM THE BACK AND HAS A COUPLE OF SCRATCHES ON IT. ITEM IS AS SEEN IN IMAGES.THIS ITEM OPENS AND CLOSES FROM THE BACK AND HAS A COUPLE OF SCRATCHES ON IT. ITEM IS IN VERY GOOD CONDITION WITH FEW. BBC iPlayer, ITV Player , All 4 and Demand5 are just a few of the 26 channels included in the roll-rack TV service. ITV Player is available in England, Wales and the Channel Islands only. Helpful Links. Ev braucht jemand Ersatzteile mit Fernbedienung (funktioniert). 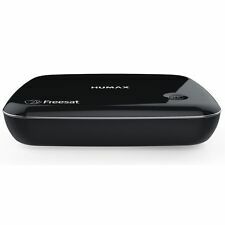 Humax PR-HD 1000 C Kabel Receiver Defekt. daher verkaufe ich das Gerät als Defekt. Freesat HD. With Freesat you can enjoy the UK’s favourite Catch Up services: BBC iPlayer, ITV Hub , All 4 & Demand 5, plus videos on YouTube. TV Wall Brackets/Mounts. Freeview HD. Foreign TV. TV Stands & Cabinets. ... with FREE Pen drives or Micro SD 16 GB Kingston!! !